Registration for Summer and Fall 2019/20 is now being accepted. Hats off to reading! The children at Building Blocks are having fun celebrating Dr. Seuss's Birthday! 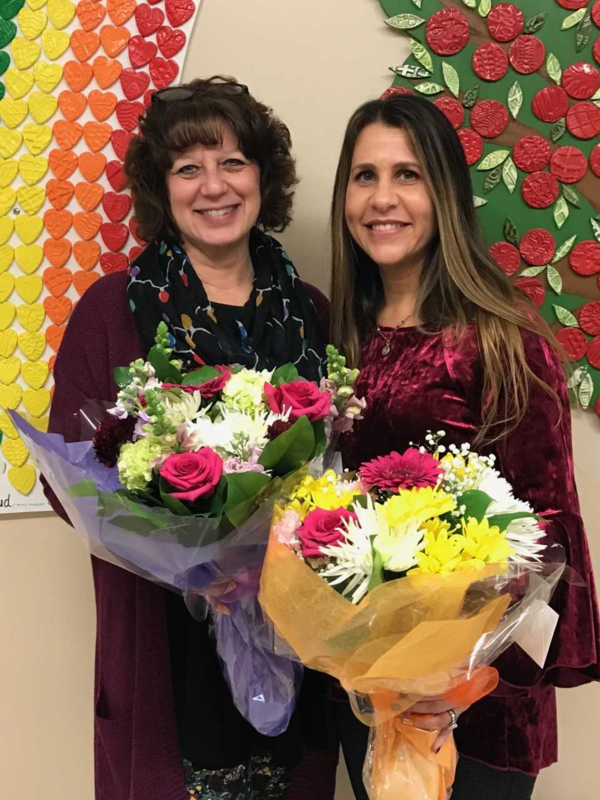 Building Blocks celebrates both 20 and 30 years of dedication and service by two of its staff members, Jodi and Jeanne! Congratulations to these two wonderfully dedicated individuals! REGISTRATION FOR FALL 2018-19 is currently ongoing. Don't miss this wonderful opportunity for your child! is an early childhood center that has been dedicated to enhancing the development of all children ages birth through age five for 33 years. Starting with our parent/child and toddler separation groups and continuing up through our preschool classes, children blossom and grow while striving to reach their learning potential. Toddlers and preschoolers participate in a curriculum which is aligned with New York State Department of Education Learning Standards and is enhanced by physical education, a music program, and computer literacy activities. 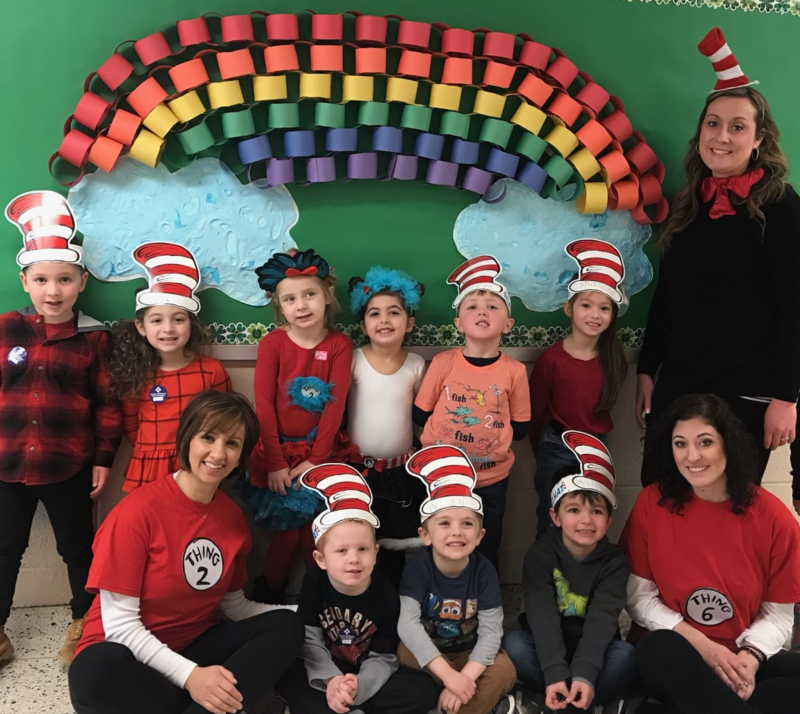 Children participate in many extra-curricular activities as well, including field trips, pumpkin picking, a visit from the fire department, special performances and many more. Building Blocks offers comprehensive programs and services to meet the many special needs of all children including regular education, special education, speech therapy, physical therapy, occupational therapy, family training, evaluation services and ABA therapy. These specialized services are made available through a variety of different programs including Mommy & Me, Toddler Groups, Preschool Classes, Related Services, Special Education Itinerant Teachers and EI & Preschool Autism Program. Building Blocks is approved by the New York State Department of Health to perform evaluations and provide early intervention services for children birth to 3 years. 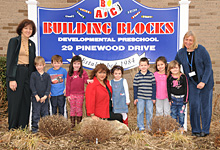 At the preschool level, Building Blocks derives its approval as a special education facility and evaluation site for children ages 3-5 years from the New York State Education Department. Building Blocks likewise possesses and maintains current its day care licence in accordance with regulations set forth by the New York State Office of Children and Family Services. Special education programs and evaluation services are funded by federal, state and county governments.